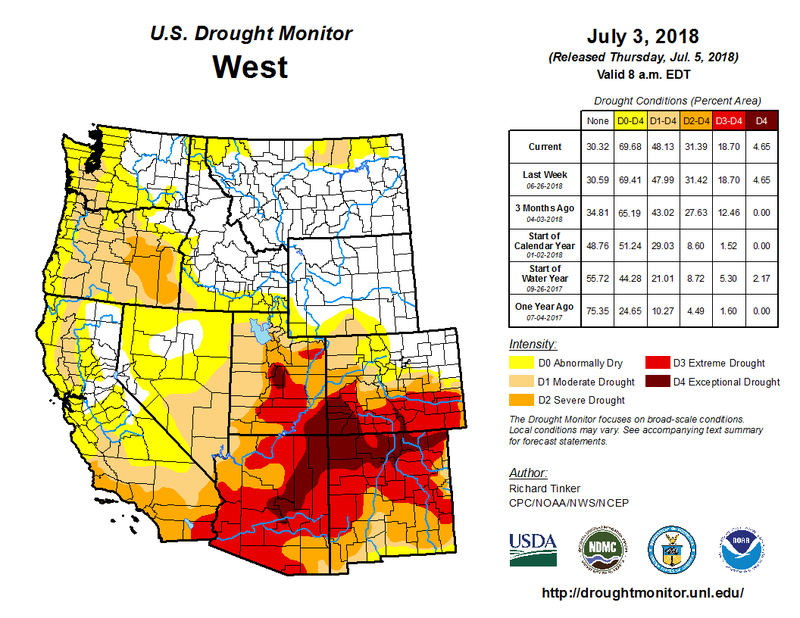 West Drought Monitor July 3, 2018. A U.S. Geological Survey river gauge in Farmington that recorded the Animas River flowing at nearly non-existent levels was the result of human error, the scientific agency said Friday. Fletcher Brinkerhoff, a supervisory hydrologic technician for the USGS in Albuquerque, said the reading of 0 cubic feet per second at the gauge was the result of incorrect information entered into the USGS’s database. The Durango Herald reported about record-low reading in a Page 1A story Friday. Still, water levels the past few weeks have been incredibly low, Brinkerhoff said, hovering around 5 cfs. Climate Science Special Report (CSSR) Seminar Series, by the U.S. Global Change Research Program & in partnership with NOAA. Speaker: Katharine Hayhoe, Atmospheric Scientist, Texas Tech University. Presenting remotely. Webinar Access: Mymeeting webinar uses phone and internet. Audio is only available over the phone: dial toll-free from US or CAN: 1-877-708-1667. Enter code 7028688# For the webcast, goto http://www.mymeetings.com Under “Participant Join”, click “Join an Event”, then add conf no: 744925156. No code is needed for the web. Be sure to install the WebEx application when logging in – the temporary application works fine. Abstract: Human emissions of greenhouse gases now overwhelm the influence of natural drivers on Earth’s climate. 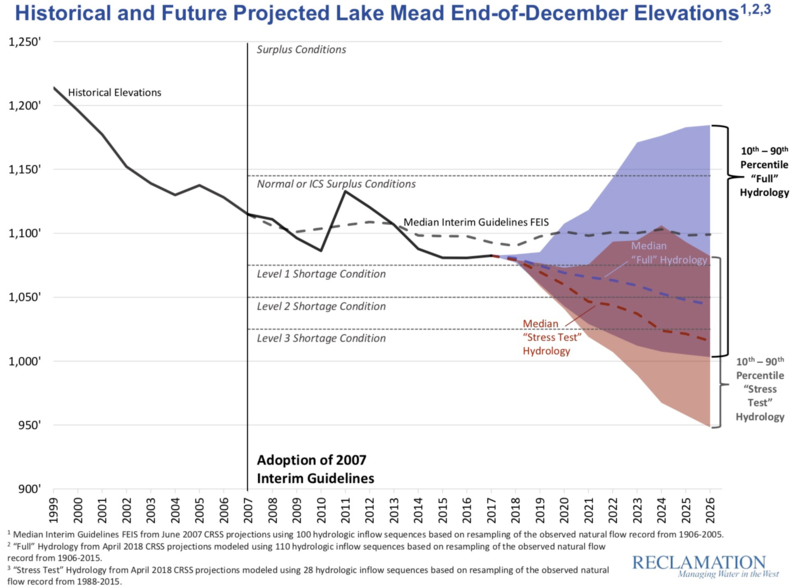 How will our energy choices and resulting emissions affect temperature and precipitation, extreme events, sea level rise and more, over this century and beyond? What are the implications for meeting the targets of the Paris Agreement and avoiding dangerous change? And what about the potential for surprise, as we push the climate system harder and faster than any time in human history? Join Katharine as she highlights key results and new science from the first volume of the Fourth U.S. National Climate Assessment, and lays out what to expect from the second volume on how climate change is affecting regions and sectors across the U.S.
About the Speaker: Katharine Hayhoe is an atmospheric scientist whose research focuses on understanding what climate change means for people and the places where we live. She served as a lead author on the Second, Third, and Fourth National Climate Assessments and is also known for her communication and outreach efforts, such as the PBS Digital Series Global Weirding. This year, she was the recipient of the Stephen H. Schneider Award for Outstanding Climate Science Communication. Katharine has a B.Sc. in Physics and Astronomy from the University of Toronto and an M.S. and Ph.D. in Atmospheric Science from the University of Illinois at Urbana-Champaign. She is currently a Professor of Public Administration and directs the Climate Science Center at Texas Tech University.